I am an architect, maker and collaborative design facilitator. I am passionate about creating meaningful spaces. Spaces that help connect people to nature and to each other. Structures that inspire play, discussion, performance. Quiet spots for solitary contemplation. Celebratory shelters for communal gatherings. Places for real experience and dreams. I love working with natural materials and collaborating with people from all different backgrounds. Do get in touch if you think you’d like to work with me. I am a fully qualified architect registered with the ARB. I can help clients develop their ideas from mad cap dreams to realisable projects, refining the concept towards a detailed design, navigating through the planning approval and building control adventures onto finding a decent builder and getting the damn thing built. I have a network of exceptionally skilled professionals, craftspeople and tradespeople who I can call on to work with me if I feel their skills are required. I love working closely with makers, and having completed carpentry NVQ level 1 (with distinction) and done a fair bit of eco-building myself, I feel I can help bridge the gap between architects and builders. What I love most is working as part of a team with skilled individuals of different backgrounds, bouncing ideas around and helping the best ideas evolve into tangible and conceptually advanced creations. Experiential Theatre is popular these days, and rightly so. People want to participate, not just consume. I’m interested in what this means for set design – whole worlds now need to be created where the audience can fully submerge their bodies into the imaginary. For an architect, the possibilities are endless. I am passionate about helping groups of diverse individuals to work together to bring forth great ideas. 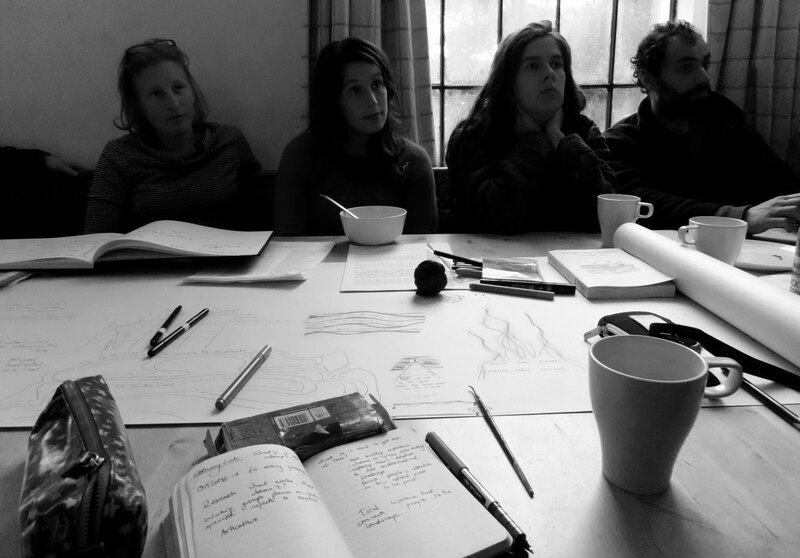 I have facilitated several participatory design labs, including the Woodland Design Lab 2011, and the Greenpeace at Glastonbury creative weekend workshop. I design the process to include short plenary sessions to set the scene and impart key knowledge, interspersed with break-out group activities and exercises to get the most out of the people attending and thus create a better, richer and more powerful end result. I have received fantastic feedback on this process and I believe that participatory design is a powerful tool to bring forth unique and rich places.